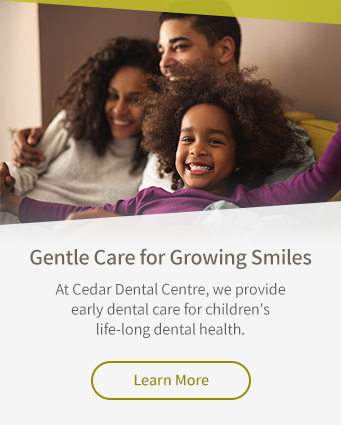 At Cedar Dental Centre, we use the triOS digital impression scanner to help plan your Invisalign treatment, and give you an idea of what your results will look like once it's complete. What is the triOS Impression Scanner? The triOS Impression Scanner is an intraoral camera that takes extremely accurate, digital 3D impressions of patients' bites. It allows our dentists to make adjustments to treatment in real time, store data digitally, and show patients what their Invisalign results will look like before treatment begins. The guided scan proceeds through each quadrant of your jaw. triOS's ergonomically designed scanning wand makes this process comfortable for the patient, and simple for the dentist. We will capture whole tooth images for a highly accurate, comprehensive image, resulting in better fitting Invisalign aligners. We will then perform a full bite scan so that we can get an accurate idea of your malocclusion. The complete model is then sent to Align Technologies so that the aligners can be created. With the help of a triOS scan, we can use the Invisalign Outcome Simulator to create a simulation of how the patient's teeth will look at the conclusion of Invisalign treatment.